Getting married in today’s day and age isn’t as easy as it may seem. Every couple wishes for their event to be picture perfect in more ways than one. And that means making sure every little component is as magical as can be. One of the biggest elements worth considering has to do with the wedding venue and in a glorious place like the Cotswolds; there are plenty of options to choose from. Here are a few Cotswold Wedding Venues to consider for your big day. From the alluring charm of Barnsley House and Cowley Manor to the sheer classic stance portrayed at Caswell House and The Painswick, I’ve carried out a little research all the stunning venues sure to make your wedding an event of a lifetime here in the Cotswolds. Located in the heart of the gorgeous Cotswold Village, it is rustic chic redefined here at the Barnsley House. The exquisitely designed landscaped gardens give couples plenty of room to host the reception of their dreams, amidst nature’s stunning backdrops. But that’s not all. The countryside hideaway houses luxurious suites as well as private garden retreats that are sure to tick all the right boxes when it comes to absolute splendor. Complete with a relaxing spa and hydrotherapy pool, the Barnsley House is truly what wedding dreams are made of. The rooms here contain floor to ceiling high windows that depict serene scenes of the stunning natural gardens and beautiful surrounding countryside. The Light in and around this venue is beautiful and one of the great reasons I love being a Barnsley House Wedding Photographer. As a host, dining is of due importance and the Barnsley House manages to win hearts with its renowned restaurants by the names of The Potager and The Village Pub. Here guests can enjoy a relaxing sit down dinner comprising of English cuisine with a hint of Italian influence. If being blown away is a notion you wish to achieve on your wedding day, the Caswell House in the Cotswolds is the direction to head towards. 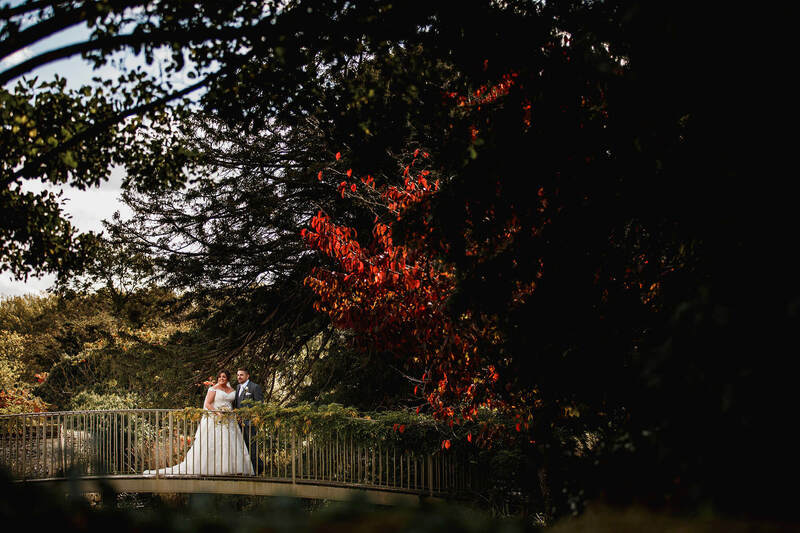 Comprising of ancient orchards, blissful walled gardens and a sublime picturesque moat, couples are sure to fall in love with this venue in more ways than one. Located 300 acres towards the Oxfordshire countryside, the Caswell House ensures guests receive complete privacy while providing accommodation of the highest degree. The estate contains rustic beauty in the form of well furnished and modern day embellished barns with stunning hints of the medieval era. One of the many reasons I love to be a Caswell House Wedding Photographer. The luscious surrounding grounds are well maintained to ensure the property and its surroundings’ beauty is well reflected. As far as cotswold wedding venues go this is right up there on one to consider. There are plenty of natural backdrops and alluring sites here where couples can enjoy their big moment in all its glory. You can also find out more about Why I love Weddings at Caswell House. Located alongside the Cotswolds Way National Trail, the Painswick hotel has 18thcentury classic vibes amidst its surroundings. Comprising of 16 modern styled bedrooms and a stunning restaurant too, the hotel’s avant garde themed décor is breathtaking, to say the least. For couples whose wedding vision is luxury with easy going yet gorgeous vibes, the Painswick serves as a top notch choice. Compared to other high end properties in the region, the hotel is revamped in a manner that terms it as affordable and youthful, to say the least. As you journey through the stunning rolling hills as well as alluring rural beauty of the Cotswolds, a reclaimed wedding venue by the name of Lords of the Manor is sure to strike your eyes. This luxury themed hotel is the ultimate destination for those couples who wish for an enchanting getaway. The privately owned property is located at the quaint village in Cotswold, known as Upper Slaughter. With natural beauty that boasts of idyllic scenery towards every turn, the hotel manages to showcase everything that this village is most loved for. Great for wedding photo shoots and outdoor receptions, the luscious 8 acre lawns and splendid gardens are true grandiose in every sense imaginable. Dating back to the ancient 1649, there are components of nostalgia that give this estate a decadent reminder of what architectural beauty was in the past. But that doesn’t mean guests can’t find modern comforts in the estate’s grandeur. The Lords of the Manor is also home to gourmet culinary delights where wedding guests can wine and dine to supremacy as they celebrate a bond made in holy matrimony. The hotel boasts of excellent care taking services, making it ideal for wedding ceremonies. To say the least, this getaway is one you’ll cherish for all the right reasons. Situated in the magical countryside area of the Cotswolds, this contemporary themed hotel with spa is set in stunning parkland where nature excels above all. With over 55 acres of greenery in its surrounding, it’s the little attention to detail that makes this hotel stand tall above all others. Guests usually speak of the funky art installations in the hallway, family friendly services, awe inspiring dreamy grounds and it’s boldly furnished modern day rooms. The generous space available can host wedding parties galore, allowing guests to shower themselves in absolute splendor at their visit here at the Cowley Manor. The chic spa retreat and swimming pools are added luxury amenities where views of wonder await those in search of something truly immaculate. The contemporary style of architecture and sculpture has been displayed throughout the hotel’s premises. The giant reception area is a world of its own where guests are left awestruck when gazing at the lime green hued ceiling. The hotel’s laid back atmosphere is fabulous at treating guests to a weekend full of celebrations, besides a gorgeous lakeside setting. The long terrace also gives views for days where the sunset acts as the ultimate background for those memorable couple portraits. Let’s not forget the impeccable dining facilities available to cater to wedding guests’ preferences of all kinds. Hope you’ve enjoyed this read on these Cotswold Wedding Venues, If you want to find out more about Gloucestershire Weddings or want to find out about my photography services please get in touch. I would love to hear all about your wedding and what you have planned for you big day!